SHOP NOW! PLEASE help us grow and keep going - share with a friend or two. With the changes on FB make sure to like, share or leave a comment. SHOP NOW! If you love the site, PLEASE help us grow and keep going - share with a friend or two. With the changes on FB make sure to like, share or leave a comment. 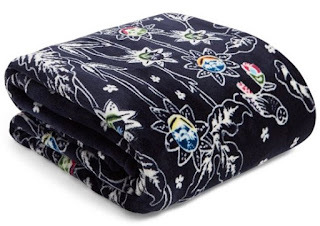 Head over to Vera Bradley where they are offering 50% off select blankets including travel blankets, plush blankets and more – note that the price will vary based on the pattern selected! 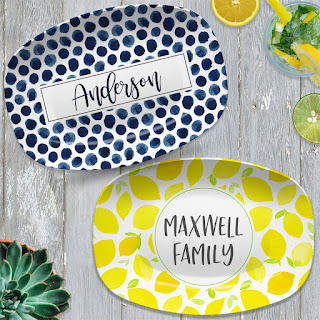 I just LOVE these *POPULAR* Personalized Platters $25.99 (Retail $34.99). Today ONLY - Saveur Magazine 1 Year Subscription is JUST $4.95 with code 18481 or CITYMOMMY at checkout. Saveur Magazine is the publication for professional and amateur cooks who enjoy experimenting with diverse recipes from around the world. In each issue, you will find great recipes, new techniques to take your cooking to the next level, travel suggestions, kitchen tips , and more. 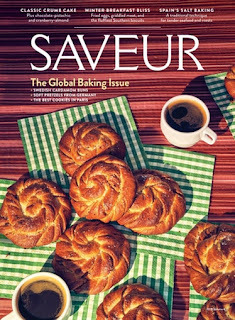 If you want to experience the world through your cuisine, subscribe to Saveur magazine today.